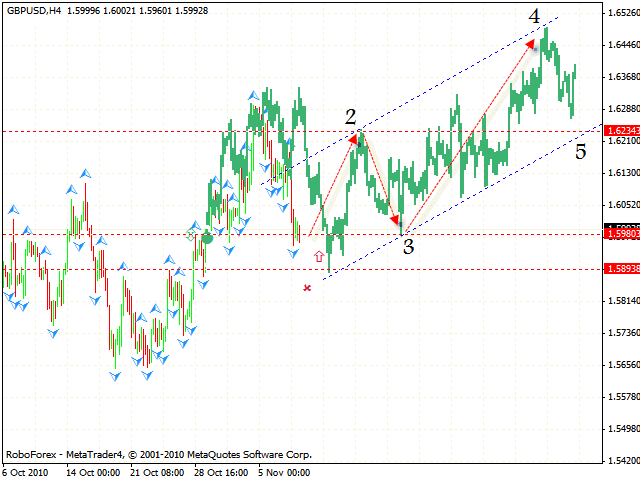 HomeFor ClientsAnalyticsForex Analysis & ForecastsForex Technical analysis and forecastsForex Technical Analysis 2010/11/10. EUR/USD, GBP/USD, NZD/USD, AUD/USD Forecast FX. Forex Technical Analysis 2010/11/10. EUR/USD, GBP/USD, NZD/USD, AUD/USD Forecast FX. The EUR/USD currency pair keeps falling down. One of the possible scenarios is that the price will move downwards into the area of 1.3440 where the 5th point of reference is formed. At the moment, according to eurusd forecast, the price is testing the support level. Here we can see the potential for the formation of “head & shoulders” reversal pattern, but it’s lacking the second shoulder. If the price goes up into the area of 1.4085 and forms the second shoulder, it will be possible for us to consider selling the pair. 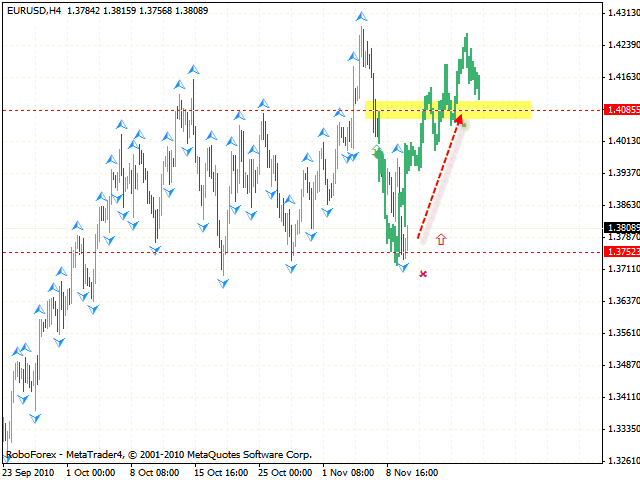 Right now one can try to buy the pair with the tight stop below 1.3740. Judging by gbpusd forecast, the way the price moves indicates that there is a possibility of the formation of the rising pattern. The closest target of the growth is the area of 1.6234 where the 2nd point of reference is formed. 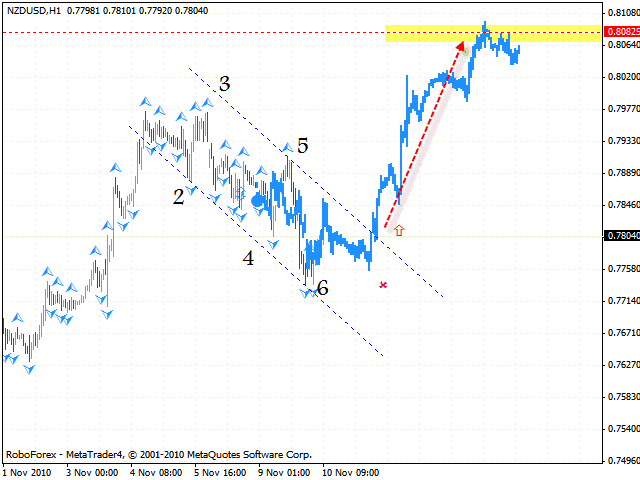 One should consider buying the pair with the tight stop starting from the level of 1.5895. As we can see, there will be another possibility to buy the pair in the area of the 1.5980 where the 3rd point of reference is formed. The target of the growth will be the level of 1.6446. According to nzdusd forecast, New Zealand Dollar has completed the descending pattern. The current price movement indicates that there is a possible formation of the rising trend with the target in the area of 0.8082. 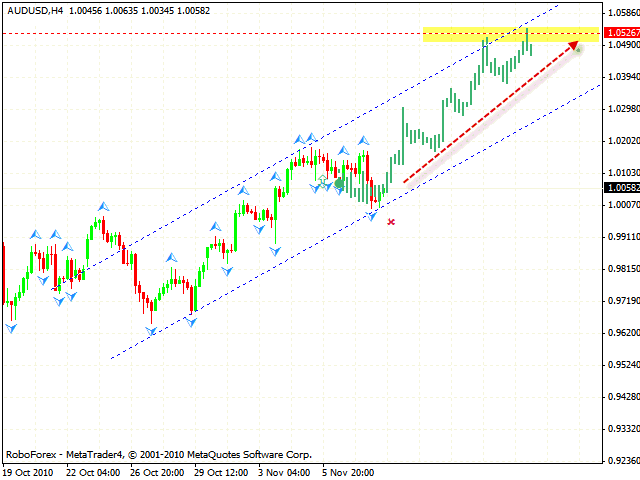 After the descending channel is broken one can consider buying the pair with the stop below 0.7730. In case the local maximum is broken, the price will probably start moving upwards with the target in the area of 1.0525. Judging byforex analysisaud usd you can try to buy the pair with the tight stop below 1.0000.